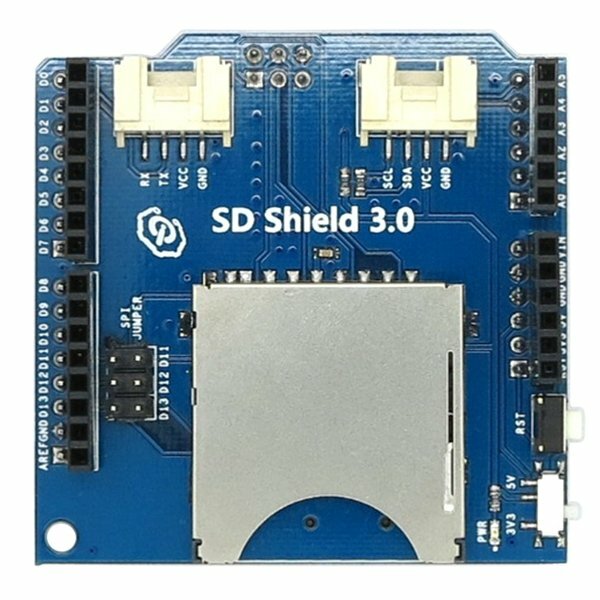 This Arduino SD Card Shield is ideal for data logging applications that need access to large amounts of removable persistent data storage. 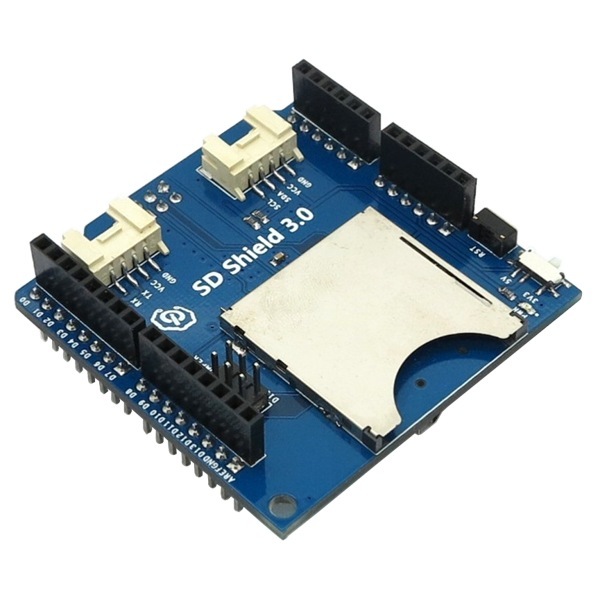 The Arduino compatible shield supports SD cards, SDHC cards and MicroSD card storage media. The SD card is accessed via the Arduino SPI port and can be programmed using the standard Arduino SD Library. It can be used with both 3.3V and 5V Arduino compatible microcontrollers such as the Arduino Uno or Leonardo. The SD card shield provides a full sized SD card slot on the top and a Micro SD card slot on the bottom. Jumpers are provided for configuring the Arduino SPI port pins. 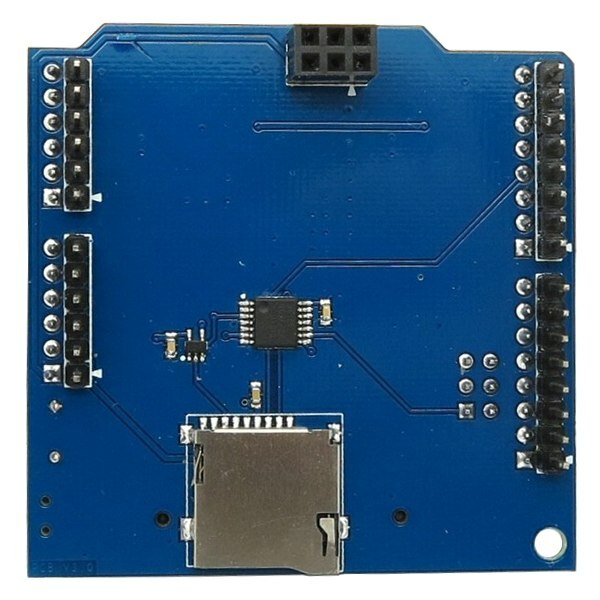 It also provides two handy Grove connectors for Serial and I2C ports and a reset button. The shield is stackable so you can add more shields on top.